When will be Runaround next episode air date? 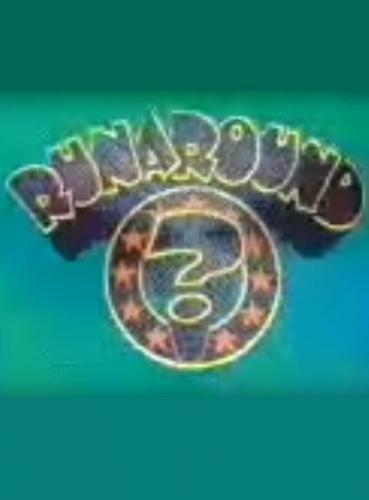 Is Runaround renewed or cancelled? Where to countdown Runaround air dates? Is Runaround worth watching? Runaround was produced by Southern Television for the ITV network between 2 September 1975 and 7 September 1981. It was much more successful than the American version that was originally originated. The original host was comedian Mike Reid. In 1977 his place was taken by Leslie Crowther and Stan Boardman, before Reid returned in 1978. The ball in tube scoring was copied from the US version but with two colours; yellow worth one point for a correct answer and red worth two points for being the only contestant to choose the right answer. Metal Mickey made his screen debut on the British version of the show after being discovered by the show's in-vision researcher, Tim Edmunds. The series ended when Southern Television's franchise ended at the end of 1981. A spin-off entitled Poparound was produced by Central and aired between 19 June 1985 and 4 June 1986 with Gary Crowley as the host. Runaround next episode air date provides TVMaze for you. EpisoDate.com is your TV show guide to Countdown Runaround Episode Air Dates and to stay in touch with Runaround next episode Air Date and your others favorite TV Shows. Add the shows you like to a "Watchlist" and let the site take it from there.